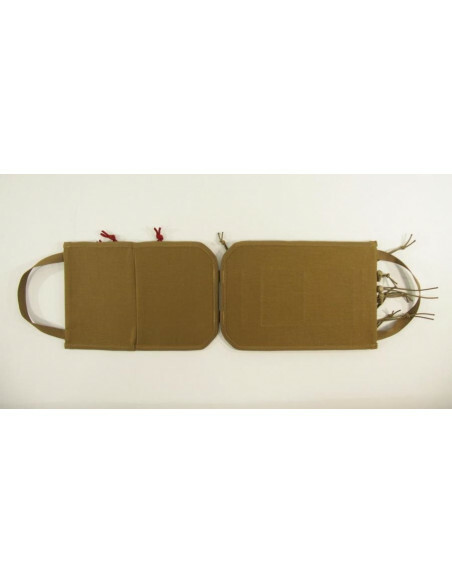 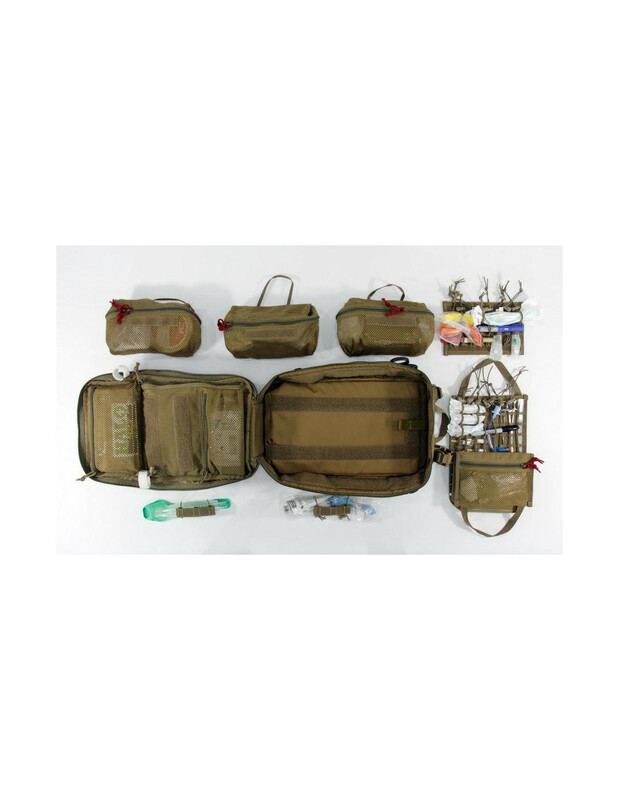 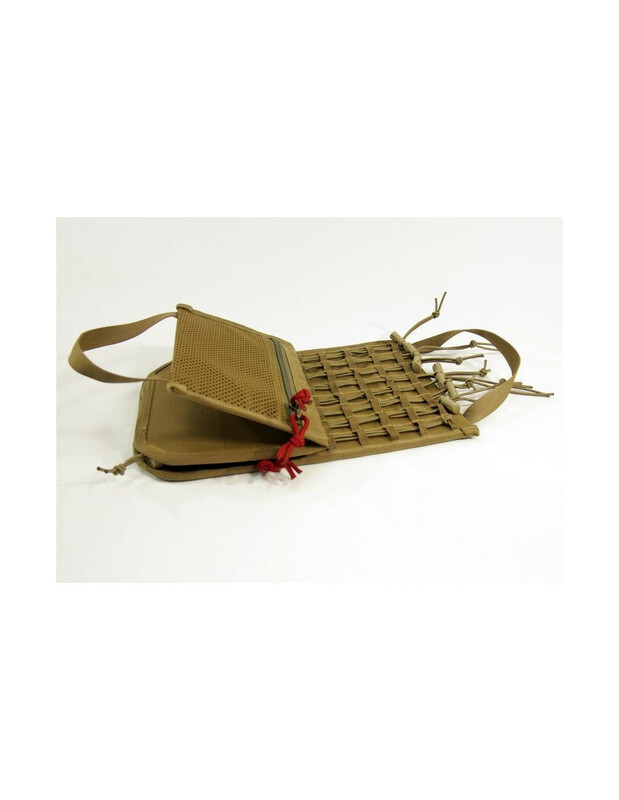 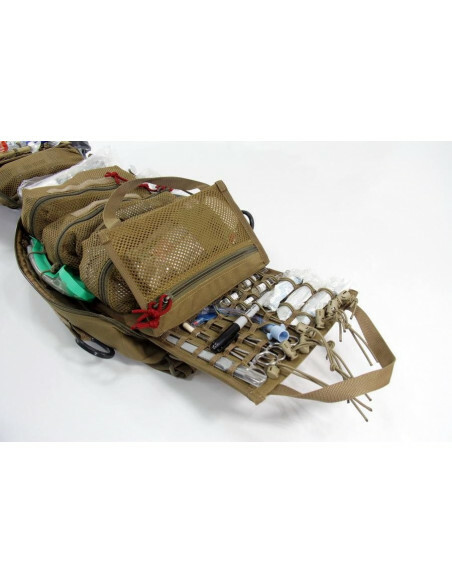 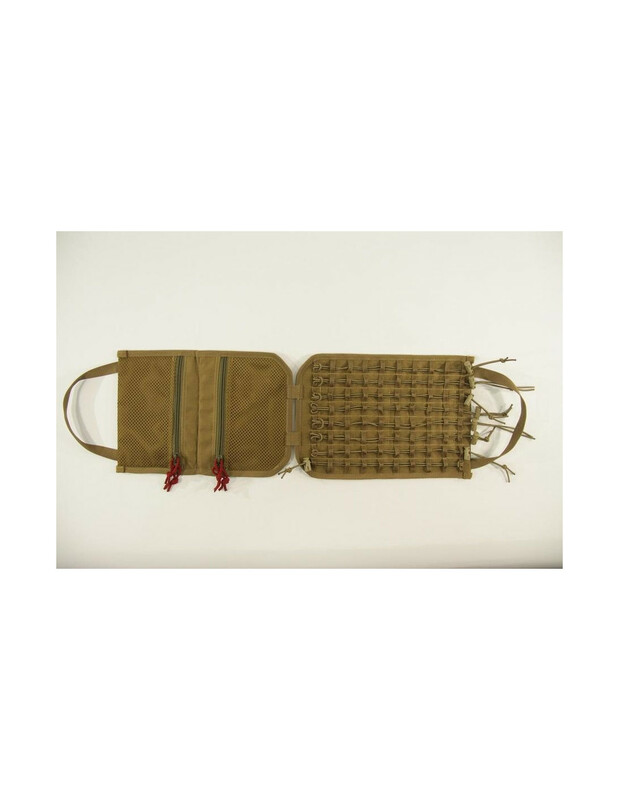 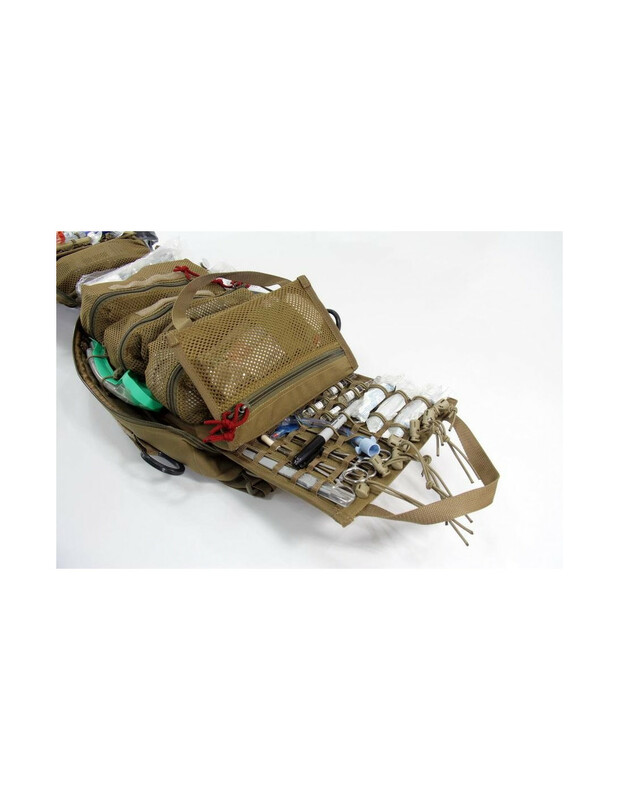 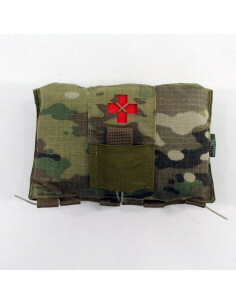 Medical Insert Panel is used in conjunction with Assault Aid Backpack «Animus-Adapt», as well as with other gear. Designed for minor surgery and ampule medication. 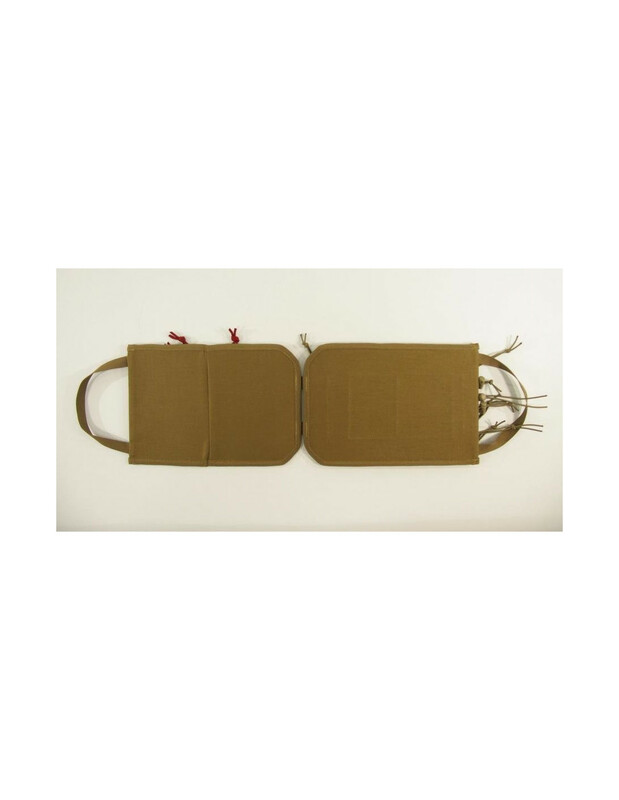 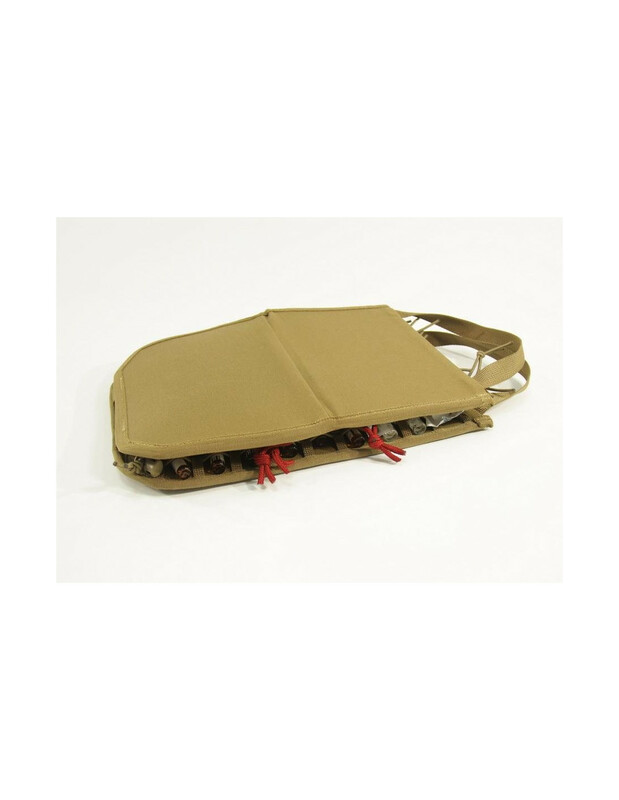 Medical Insert Panel consists of two integrated panels. 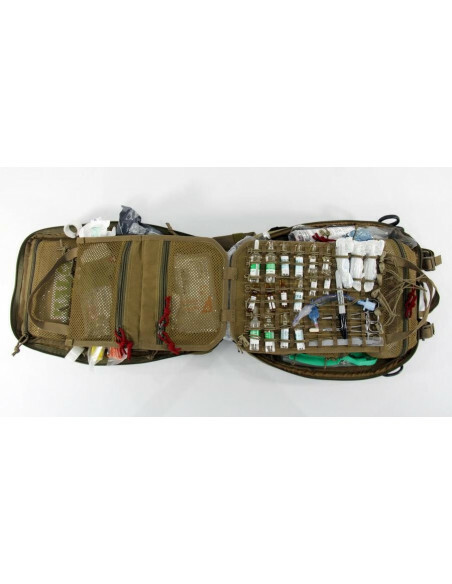 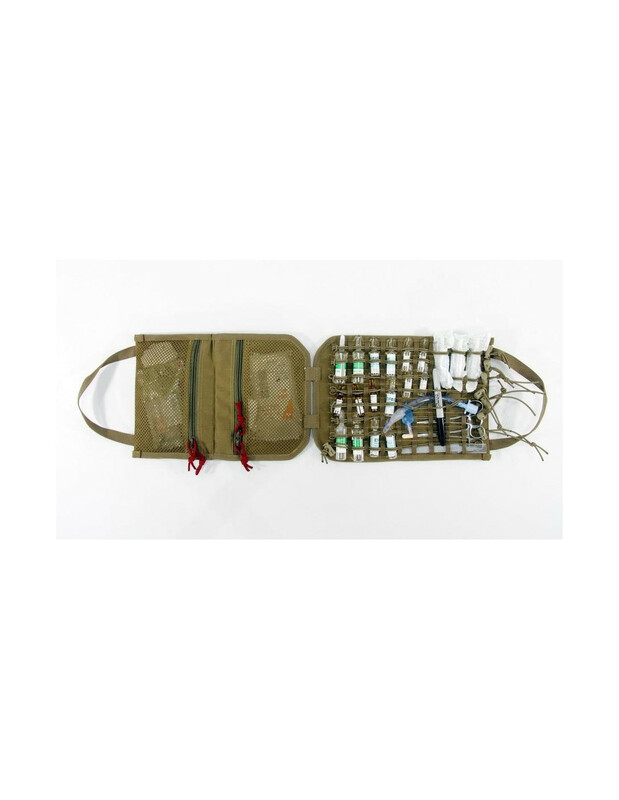 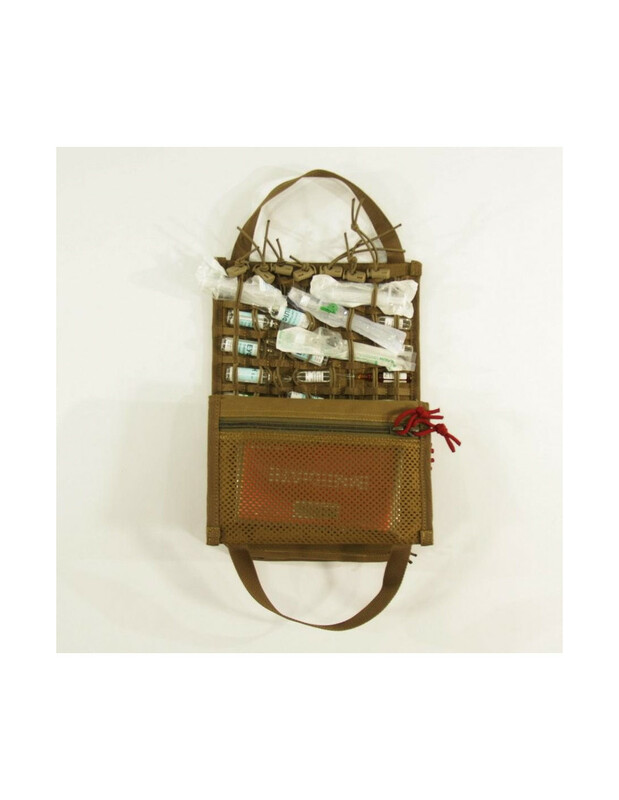 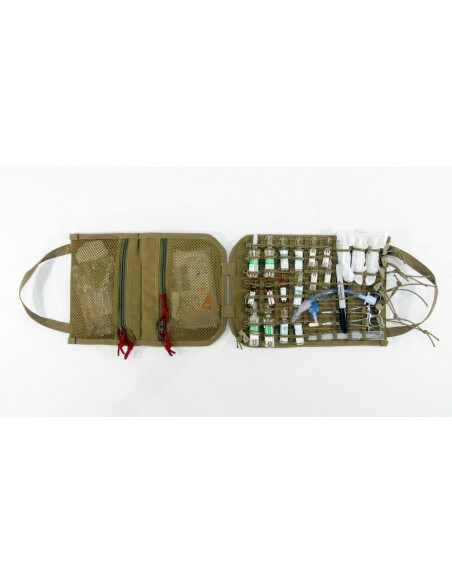 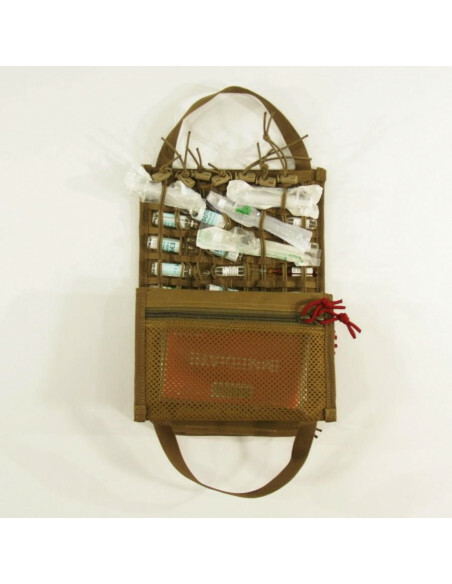 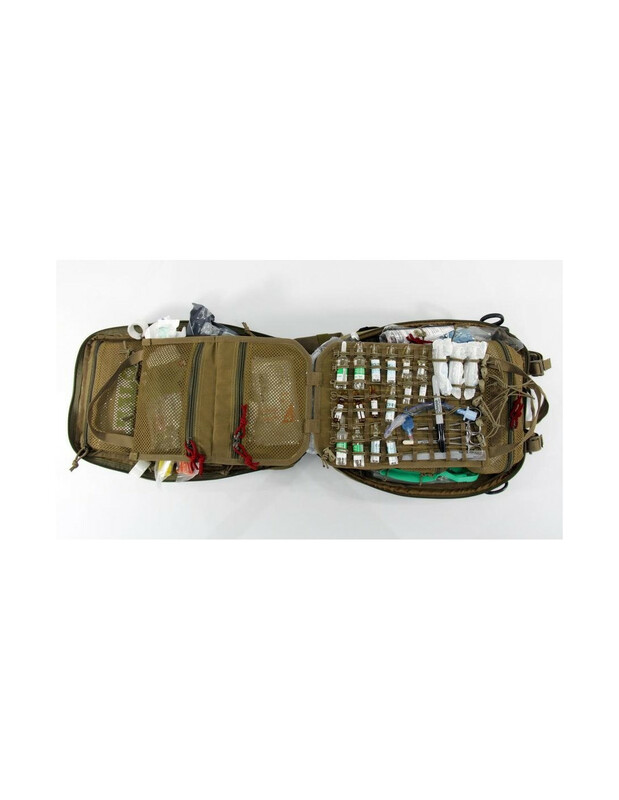 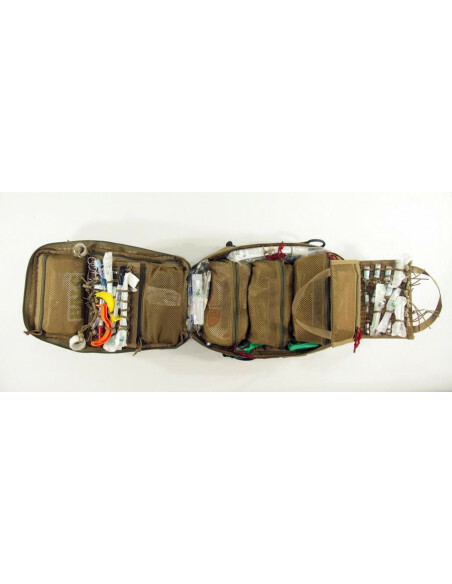 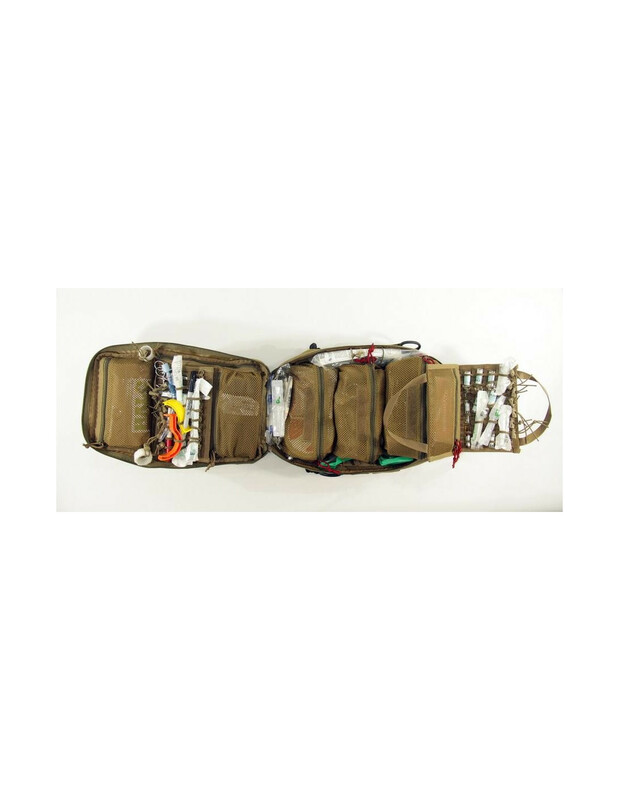 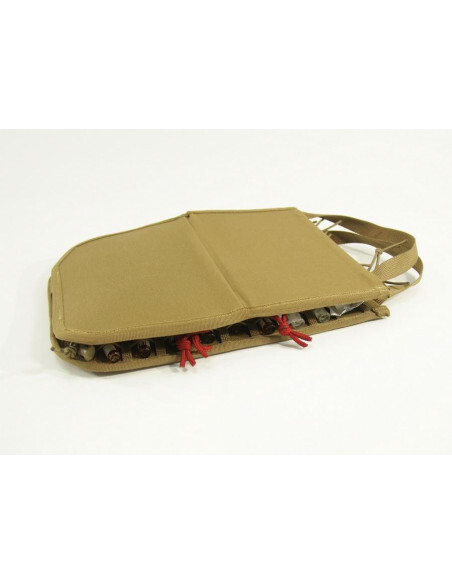 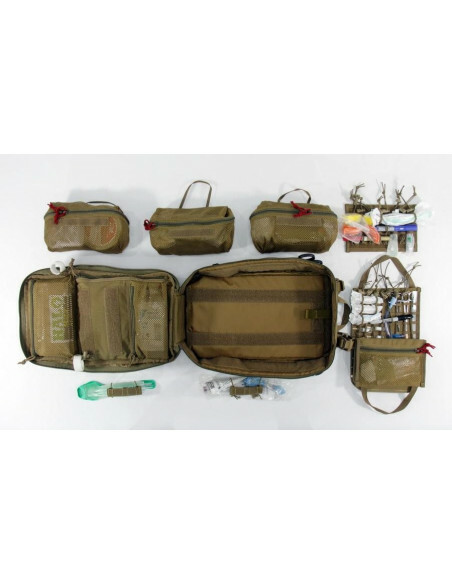 The back one contains slings and rubbers system, which allows securely fix ampules of any size (however, while leaving visible inscriptions of names), syringes, small surgical instruments and oversized items such as endotracheal tubes, etc. 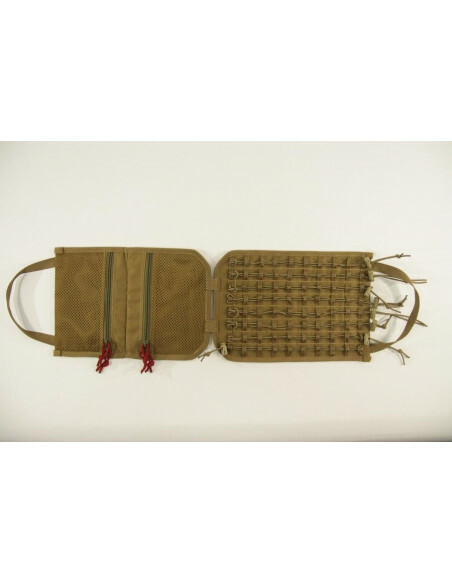 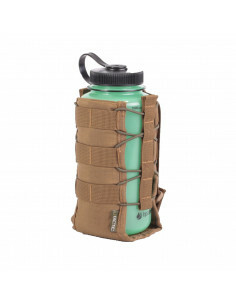 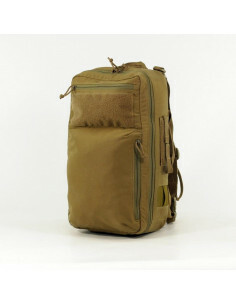 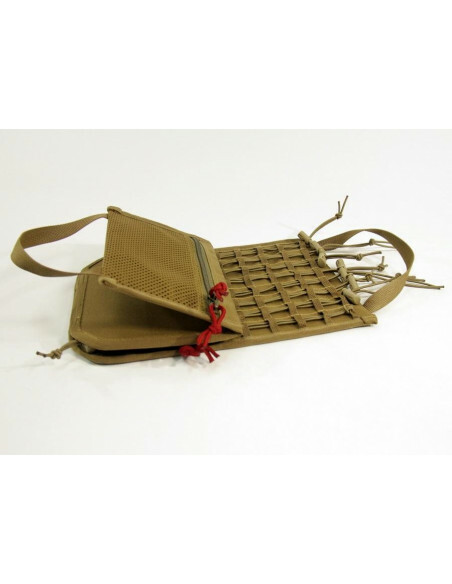 The front panel has two flat mesh elastic pockets that are suitable for napkins, patches and other oversized flat stuff.